BARNABY Joyce is a dung worker, a cog in a gearbox, a servant not a lord and he's the Deputy Leader of the Nationals. Joyce is also a country boy from Danglemah, about an hour's drive north-east of Tamworth in New South Wales. In Opposition, the 46-year-old accountant was a loud, sharp-talking attack dog in the Senate and A regular mouthpiece for the National Party. His profile now surpasses that of party leader and Deputy Prime Minister Warren Truss. Having successfully walked the tightrope from the Senate into the House of Representatives seat left by retiring New England independent Tony Windsor, Joyce must convert to playing defence, after years of being on the offensive. "You're banging on doors and screaming at them (in Opposition)," Joyce said. "You don't have to yell down the phone at yourself." The agriculture minister talks about "the art of government" - a behavioural guide-rope to help him in the corridors of power. "It is your capacity not to do anything that will cause your country damage," he said. "That you understand the hard work of the mundane. "And that you always respect you are a servant, not a lord; so respect your boss - which is the Australian people." He sees the often humdrum toil as critical, a burden shared by his department. Despite public fury over allegations of Australian spying on Indonesian President Susilo Bambang Yudhoyono, Mr Joyce quietly dined with the Indonesian vice-president Boediono in an attempt to rebuild Australia's devastated live export industry. "I just talked business, I didn't talk politics," Mr Joyce said. "I said we have a good product and you have a great market. Your involvement in the market gives us capacity to give respect to our farmers to give them a standard of living. "It reduces the cost of living for your people in the big city. "Let's build on that relationship." It is a clear and understated tone from one of the key Coalition fighters who earned the nickname "Barnyard" by some, and was even suggested to be loopy by an ABC presenter unaware she was still on live television. In just the few months since he returned to government, Joyce says he helped "create the political pressure that stopped the sale of GrainCorp" to American powerhouse Archer Daniels Midland. His work on the Free Trade Agreement with South Korea will reduce tariffs on beef, potato and sugar. And the latest revelations of live-export cruelty in the form of footage of sheep in Jordan was a crisis managed. Meanwhile in the departmental trenches, Mr Joyce described his teams as cogs and workers on dung heaps. He talks about himself in the same terms. 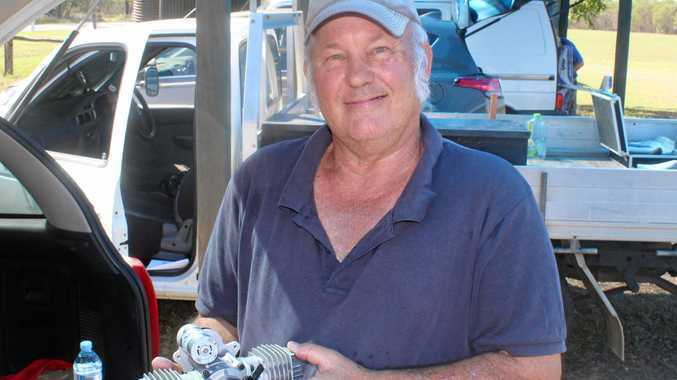 "I try to be strongly involved with the department, to go to their place of work in Canberra, say g'day to them and say, 'I'm a cog in a gearbox and so are you'. "You can lose a few cogs and the gearbox will still work. Lose a lot and it'll make a horrible noise and not go anywhere." So how do you keep the cogs turning? You mess with their dung heap, of course. 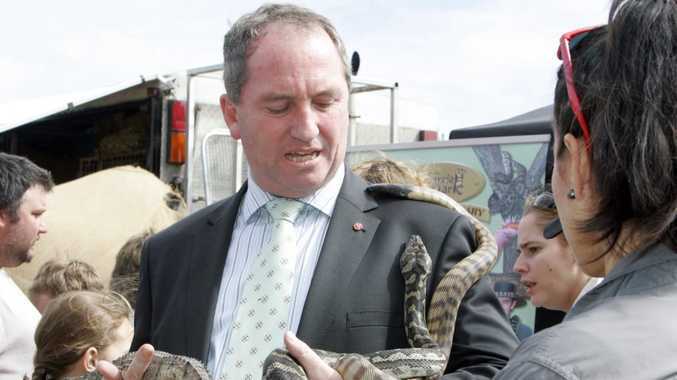 "If you leave them alone on their dung heaps, it's amazing what gets done," Joyce said. "If you kick around that dung heap, you'll be amazed how you can annoy them. "You're a participant and a figurehead but you shouldn't overstate your position. "It doesn't give the proper kudos or grace to those in the department working extremely hard to bring about an outcome." Victories by his department and even his government mean much, but if they do not keep the support of the New England electorate, it will be game over. Voters showed in 2001 they would swing against entrenched rural politicians, when they elected Tony Windsor after backing the Country Party and Nationals for almost 80 years. "Unless the people in New England like you, you're not winning the next election," Joyce said. So after this first term - something Mr Joyce describes as "a very, very, very hard race" - what if New England turns? What would he call himself if he wasn't an ex-Senator, accountant, minister, Member of Parliament, country boy and occasional diplomat? "I take the job as an incredible honour but I never coveted it. "The world would not be coming down around me; (the world) wouldn't end. "You don't cry in your beer."